Having hot water is a major component of home comfort, so ensuring the water heater is effective and efficient is critical. 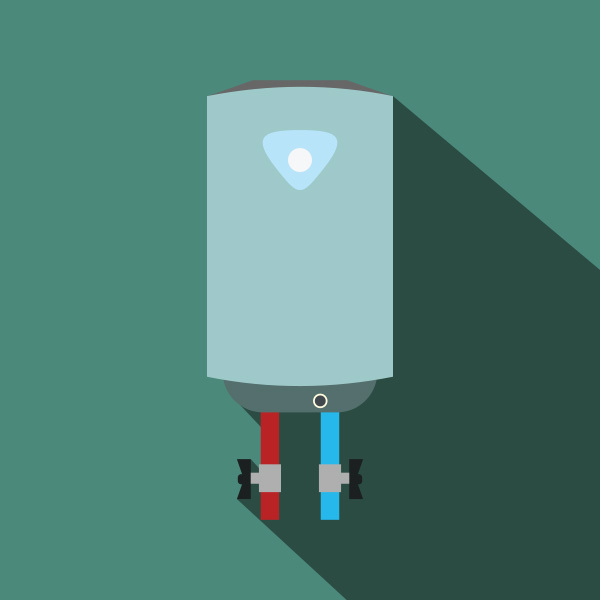 Is your home’s storage tank water heater old and problematic? It may be time to consider a replacement. Before you opt for another version of your current model, take a look at the benefits of a tankless water heater. In a traditional water heater, rust and debris can collect in the hot water tank. Even bacteria can breed and grow in there. And those deposits and bacteria can then show up in your drinking water, your bathing water, or any other time water is used. A tankless water heater doesn’t store water and therefore doesn’t have this issue. With a tank-style water heater, hot water is stored until it’s needed. Once the stored hot water is spent, you must wait on the system to heat more. This can be a sizable issue when multiple people are trying to shower at once or within a limited time or if multiple appliances (dishwasher, washing machine, etc.) are being used simultaneously. With a tankless water heater, you’ll never run out of hot water, no matter how many showers and appliances are running at one time – provided you size the system correctly for your home’s needs. If multiple systems installed near each tap, you’ll save water because you won’t have to run it through a long distance of pipes to bring hot water to the tap. And they don’t make you wait for hot water (or at least not for more than 30 seconds or so). We’ve all been there: you’re in the middle of a long, hot shower when suddenly the water turns lukewarm and then flat-out cold. Then you’ve got to wait for your unit’s tank to catch up and refill. That doesn’t happen with a tankless water heater since the water is heated as you use it. So you can shower as long as you like, and the water will always be hot. Tankless units usually last significantly longer than traditional water heaters. Generally speaking, a tank-style water heater will have a useful life of 10 to 15 years. In contrast, tankless systems have a useful life of up to 20 years on average. This is up to twice the life of a traditional tank-style heater. And they have replaceable parts which can help extend their life even further. Of course, this all depends on normal usage and regular maintenance. Maintenance isn’t intense, but it is essential if you want to keep your tankless water heater as long as possible. That includes regular flushes to keep hard water build-ups from wrecking them. Because water is only heated when it is needed with a tankless system, there are substantial energy savings over traditional water heaters. With a traditional water heater, the temperature of the water is maintained even when there’s no one in the home. Heating water with a tankless system saves an estimated 12-34 percent on your energy bill. For a typical residence, water heating represents 19 percent of total energy costs. And that savings can increase to a range of 28-50 percent if tankless water heaters are installed at every water outlet. These systems may cost a little more up front, but they pay for themselves quickly, and they save you money in the long run. Since they do not require a large tank to store heated water, significantly less space is needed for a tankless water heater. Rather than taking up several square feet of floor space, these systems are installed on a wall. This frees up the additional floor space for other purposes. As an added bonus, there’s also a much lower risk of water damage to your home. Traditional tank-style heaters have the ability to leak or burst. When that happens, it can cause thousands of dollars in property damage. It is possible for tankless water heaters to leak to a degree, but thanks to their lack of tank, they won’t flood your basement or ground floor with dozens of gallons of water. While Stack Heating & Cooling doesn’t install tankless water heaters, we work with some amazing companies who do. If you’re in the Greater Cleveland Area, we recommend contacting Killeen Plumbing who can lend you a hand with your plumbing needs.